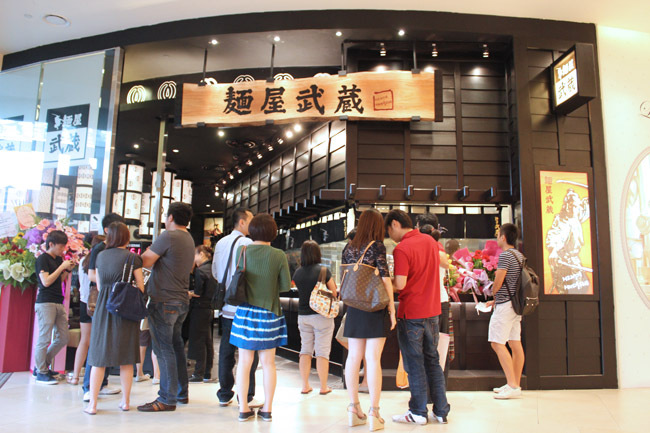 We do not have to buy an air ticket to try this, and the newly opened shop at Raffles City has also attracted many ramen fans to queue for a coveted bowl. The shop’s name comes from famous Edo-era swordsman Miyamoto Musashi, and operates on the five key ramen principles of ‘chi, sui, hi, kaze and ku’ to create an ideal bowl of Japanese ramen. There are three types of ramen soup base to choose from: the white (original), black (black sauce) and red (spicy). 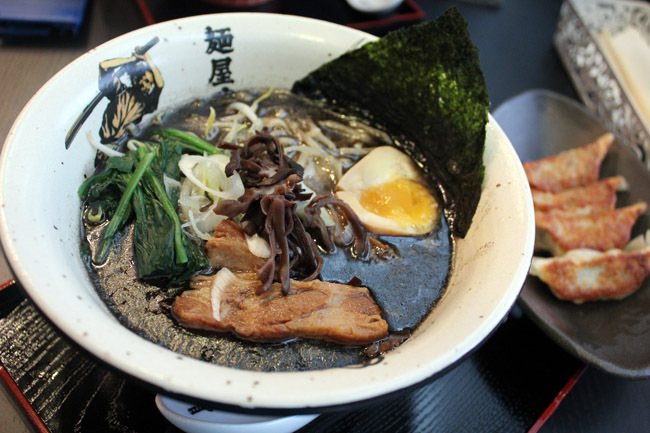 The black kakuni ramen ($14.90) is ‘oishii’, with a thick and salty broth cooked from a mixture of pork bones and dried saury fish. Compared to the other popular ramen shops Ippudo and Ramen Santouka, Menya’s version feels lacking in oomph. I will definitely go back to try again, but only when the hype and queue subsides. Definitely NOT worth to queue. Please don’t waste time because the queue is manipulated by the restaurant. When we reached the restaurant, the queue was very long but the restaurant was very empty as well. We questioned the waitress and she explained that the soup hasn’t boiled yet. Therefore, they can’t let the customers to go in. This is called “POOR MANAGEMENT”. The menu is very simple but the ordering process is complicated. I believe this is one of the marketing hype and also to delay the ordering process. Hence, the queue will get longer and longer. The noodles are too sticky and soup is purely a pot of oil. We will definitely not going back again even is FOC. Think about it, time is money. We waited 1 hour standing there do nothing. Thanks to Angry Bird’s comment! His/her supplemented Dan’s review.